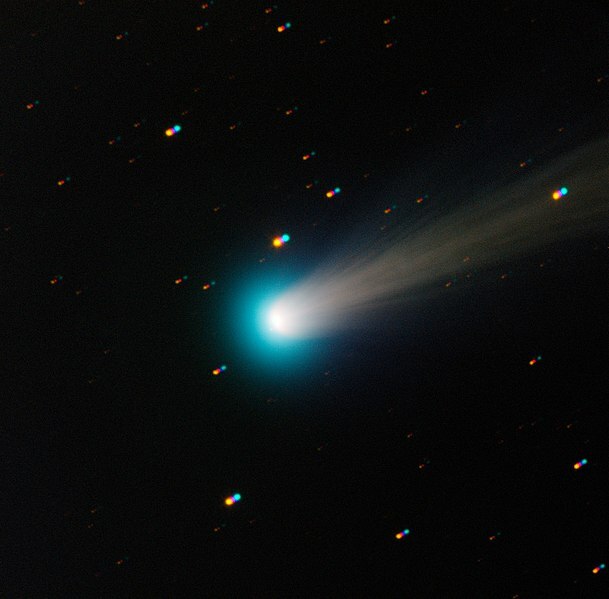 In recent months you may have heard buzz over the comet C/2012S1, better known as ISON. It was predicted to be the most spectacular comet to grace our heavens this century, with potential to outshine the brightest stars in the sky. It was also a great scientific opportunity because it was the maiden voyage of a comet into our solar system, making its long journey from a far-off place known as the Oort cloud. Named for this dashing Dutch astronomer, Jan Oort. On entry it flew so close to Mars that it practically could have high-fived the rovers, allowing us to collect loads of data on it’s velocity/direction/composition. Thankfully for us, the government decided the Mars rovers and orbiters were “essential staff,” otherwise the ridiculous shutdown could have cost us a once-in-a-lifetime opportunity. Anyway, the big test for ISON was whether it could survive it’s trip around the sun. The trajectory took it within 730,000 miles of the surface – and although that might seem like a large number it really isn’t. Think about a nice summer day and how you can easily feel the heat of the sun on your face. That’s here on Earth, which at it’s closest point is roughly 91,341,600 miles from the sun. That’s 125x further away from the solar surface than poor ISON had to fly – so believe me when I say it was freaking CLOSE. Especially if you’re basically a giant chunk of rocky ice, as comets tend to be. Right before Thanksgiving the comet began to show a lovely tail for those willing to wake up at 4am and view it. Thankfully for you, those people took pictures that you can look at on the internet. The green hue is likely due to cyanogen and diatomic carbon being released as the comet was heated. NEAT. So all eyes were on the skies waiting for ISON to emerge from the solar hairpin… but alas things were not meant to be. Scientists aren’t 100% sure yet, but it appears that the comet brushed through some sort of solar event, potentially disrupting the nucleus enough that it has basically disintegrated. Here are some freaking STUNNING videos from two spacecraft situated on different sides of the solar system. The white circle represents the sun, which has to be blocked out so the glare doesn’t obscure the comet. Gaze upon the amazing photo documentation of a comet’s last moments and remember how cool it is that humans are capable of such things. In the first video you might be able to see the disruptive event I mentioned – as the comet brushes past the lower right edge of the sun you see it briefly flash. Scientists believe this could have been what went wrong for poor ISON. In any case, we aren’t completely sure that the comet is dead. As it moves away from the sun it will be easier to observe it’s activity, at which point we might get a definitive answer. If the small body continues to release a gaseous tail, it would be evidence of an active nucleus. If no such gas can be detected, however, it will suggest that there’s just a pile of junk and rubble left. No one is holding out much hope to be honest – and it seems the maiden voyage of ISON has gone the way of the Titanic. So tonight, you should go outside, gaze skyward, and pour one out for your celestial homie. Poor ISON So you’re saying it has a snowball’s chance in hell…oh, too soon? Damn that massive solar flare it appears to run into, or do you think the corona would have wiped it out anyway? I wanted to be one of the people comet gazing at 4am, but apparently the time and threat of PNW clouds quenched any hope of persuading someone. It’s okay, I’m sure another comet of the century will cruise by any time now. It really is amazing to be able to see the comet’s 2nd to last moments (and from multiple angles!). Another thing that is really neat is to just watch the enormous amount of energy the sun is cranking out. That led me to check out the SOHO solar flare gallery, which has all kinds of sun gazing goodness!